You don’t realize how long ago your childhood was until you confront the obsolescence of some of its key artifacts head-on. The Girl asked me about looking a word up in the dictionary. 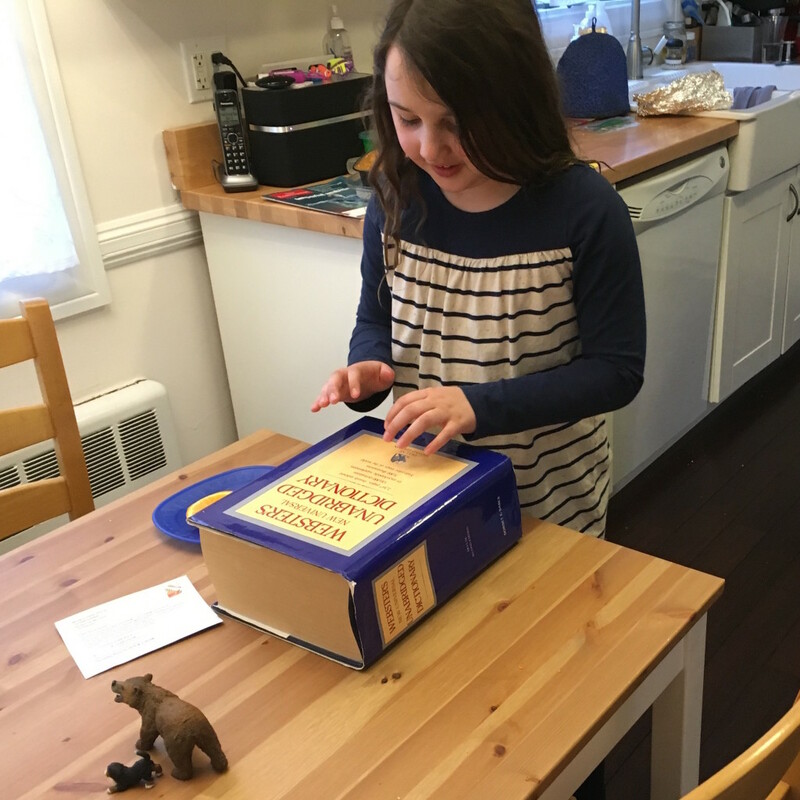 I looked at Lisa and she said, “Oh, daddy has a dictionary you can use.” So I took her down to the basement library, opened the door to the bookcase, and brought out My Dictionary: a 10 pound Webster’s Unabridged from the 1980s. The Girl’s eyes went wide. We’ve been talking about standardized tests in the house. Last week was The Girl’s first bout with MCAS, and so I talked to her about some of the “bubble tests” I remember taking as an elementary school student—apparently Virginia did some sort of standard testing, but whether for calibration purposes or what it was never quite clear; I certainly never remember receiving a grade. Oh yes. The Johns Hopkins Center for Talented Youth. I took the PSAT as a seventh grader and had the second highest score in the mid-Atlantic. And they gave me a dictionary. This dictionary. Honestly, I didn’t use it that much when I was a kid. I had already gotten to the point where my spelling skills were pretty good, and if I wanted more information about a word I usually went to an encyclopedia. But I brought it with me to college after my first year, and then to Northern Virginia, Cambridge, Boston, Kirkland, and back to Arlington. Now The Girl is simultaneously thrilled that it’s available and awed at how heavy it is. And she doesn’t know that she has a dictionary on her iPad that’s more comprehensive and up to date. I don’t have the nerve to tell her yet. I love this picture and your blog explaining it. Brings back all those trips to Northern Va., and Baltimore and your PSATS.